We heat water so that we can dissolve the Borax and Boric Acid easier. 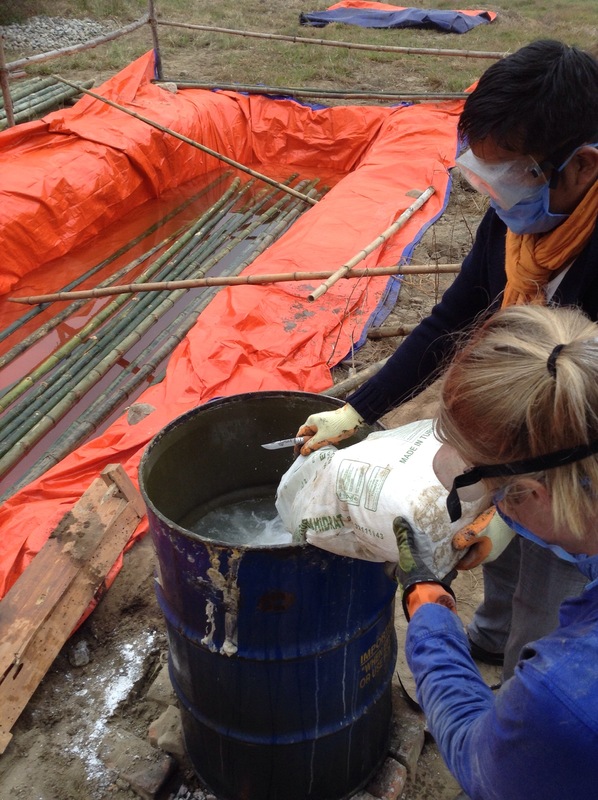 We are using these chemicals to treat the bamboos making them much less susceptible to insect infestation. The bamboos will soak in this solution for a couple of weeks. These chemicals are not too dangerous, just mild irritants however we are taking safety seriously and are wearing gloves, eye goggles and breathing masks.